Don’t have dental insurance? Try our Patient Loyalty Program. This program is neither dental insurance nor a discount plan, however, it delivers many cost savings benefits. The Patient Loyalty Program is run by The Elmwood Dental Group LLC and is exclusive to our patients without dental insurance. *As determined by dentist. We value your loyalty. For our patients without insurance, we’ve launched our patient loyalty program to simplify payments for preventative care. Our loyal members also save money on treatment. The Elmwood Dental Group LLC Patient Loyalty Program is not an insurance plan. 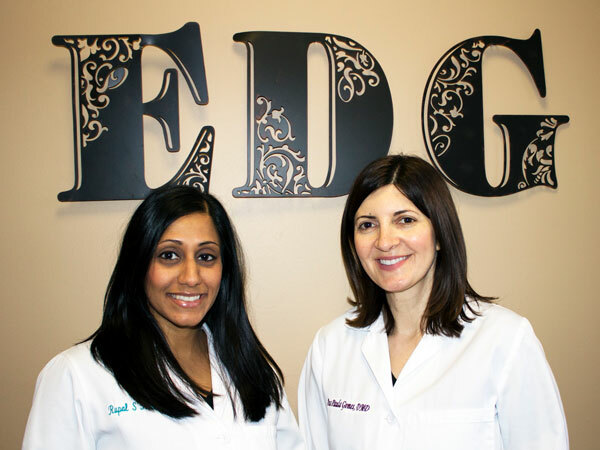 It is run locally by The Elmwood Dental Group LLC, exclusively to our patients. We are committed to providing our patients with the highest quality care. We want to help every patient afford the care they deserve & need to stay healthy and to have a beautiful smile. Give us a call, and we'll be happy to answer any questions you have about the program and to schedule convenient appointments for you and your family. We understand that some necessary dental procedures can be expensive and even regular preventative care can be tough on a budget. We also appreciate that not everyone has access to dental insurance. Our unique Dental Savings Plan eliminates the hassle of dealing with an insurance company but delivers many of the cost-saving benefits! Best of all, your regular cleanings, exams, and periodic x-rays are covered 100%! There are benefits, limitations, exclusions, and requirements of the Plan. You must remain in the plan and pay the membership fees for the full duration of the plan. Payment of less than the plan duration membership fees may result in you being charged usual and customary fees on dental services. Any treatment outside of the Plan is due at time of appointment, prior to starting treatment. Failure to comply may result in you being charged the usual and customary fee for such services. You agree to pay any and all costs and collection charges, including but not limited to attorneys fees and court costs. Coverage must be continuous. Fees paid are non-refundable. There are no discounts on dental products such as brushes, electric brushes, replacement heads, whitening or whitening products such as Crest White Strips, Waterpiks, Peridex, Prevident products, or MI paste. This is a savings plan and cannot be used in conjunction with any dental or health insurance or other coupons or discounts. Hospital services are not covered by the dental savings plan. Cannot be used for treatment which, in the sole opinion of the dentist, lies outside the realm of their expertise, and/or for referrals to specialists. Cannot be used for services related to Worker's Compensation, automobile accident claims, or medical claims. Payments made are non-refundable.